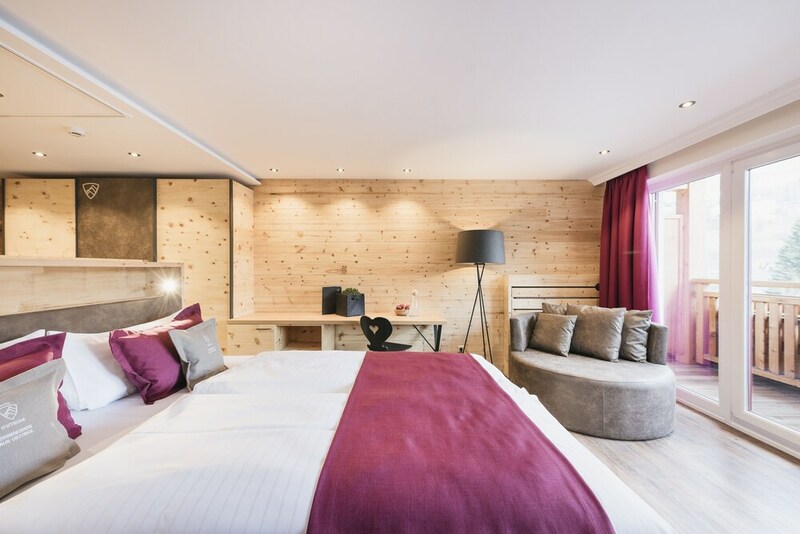 Natur- und Wanderhotel Outside places you within a leisurely stroll of Matrei Ski Resort and Goldried Cable Car. This 40-room, 4.5-star hotel has 2 restaurants, a full-service spa, and an outdoor pool. Free hot/cold buffet breakfast is included with your stay. This hotel is home to 2 onsite restaurants, perfect for a quick bite to eat. Savor a meal from the comfort of your room with room service, or make new friends over drinks at the bar/lounge. Guests can enjoy cable TV and stay connected with free WiFi. Beds sport pillow menus and the bathroom offers a hair dryer and free toiletries. Other standard amenities include a furnished balcony, a sitting area, and free bottled water. At Natur- und Wanderhotel Outside, guests enjoy a full-service spa, an indoor pool, and an outdoor pool. You can take advantage of free parking, along with an airport shuttle (available 24 hours) for EUR 250 per vehicle one-way. The front desk has multilingual staff that can help with concierge services, dry cleaning/laundry, and securing valuables. Other amenities at this ski hotel include a lazy river, a 24-hour fitness center, and a sauna. The hotel has an indoor pool and an outdoor pool. A lazy river, a sauna, and a 24-hour fitness center are other recreation options. The preferred airport is Munich (MUC-Franz Josef Strauss Intl. ): 99.8 mi/160.6 km. Distances from the property's location to the airport are straight-line distances and may not reflect the actual travel distance. The front desk is available during limited hours, and checking in and out are easy with express services. For convenient arrivals and departures, you can take advantage of the airport shuttle (available 24 hours), which is offered for a fee. Driving? This property offers free parking, along with a car charging station. This property's front desk is open daily from 7 AM - 10 PM. Guests with plans to arrive after 10 PM must make arrangements in advance by contacting the property using the information on the booking confirmation. This hotel provides transfers from the airport and train station (fees apply). To make arrangements, contact the property with arrival details prior to travel, using the phone number on your booking confirmation.